Electricians in Grand Rapids At Your Service. Expires: Jul 22nd, 2019 View Coupon Cannot be combined with other offers. 1 per household. Residential use only. Show at time of service. Need A Local Grand Rapids Electrician You Can Trust? Call Service Professor! Few systems in a home impact day-to-day life like the electrical system. Whether it’s providing light for one last bedtime story, or preventing damage to sensitive electronics with whole-house surge protection, Service Professor’s team of Grand Rapids electricians have the expertise and skill to meet your every electrical need. Service Professor’s electricians are insured, certified, and licensed to safely perform all your home electrical installations, service, and repairs. You can expect 100% satisfaction on every job by our professionals. They offer a personalized approach to solving your electrical problems and keeping you informed throughout. You can trust our electricians to offer you honest electrical work every time. They are skilled and experienced and will be there when you need them most. The Service Professor team has been a part of the West Michigan community since 1978. Since then, we have been offering quality electrical service for residential and business customers who want to know that their electrical needs are in good hands. We understand that you need proper electrical maintenance and repairs to keep your home or office safe. And we are 100% committed to ensuring a safe and worry-free environment for our customers. It’s not difficult to find a qualified electrical contractor in West Michigan and Grand Rapids. It’s simply about contacting Service Professor to schedule an appointment with one of our very own. As a tightly-knit family-owned company, our employees understand the value of commitment and delivering quality service. Our reviews show just how much our clients appreciate having a professional contractor handling their electrical problems. Your electrical jobs will be managed by a highly trained team of expert electrical contractors with years of experience. That’s because we focus on offering all our clients full-service electrical contracting. And you too can benefit from the many services we offer as a certified electrical company. Don’t trust your electrical repairs to just anyone. This is life and property safety and security we are talking about. Protect yours today by getting qualified electrical contractors in Grand Rapids and Michigan to handle all your electrical needs. Call Service professor today. Are you struggling with tripping breakers? 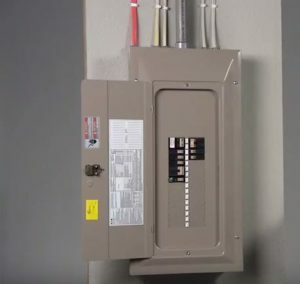 Have concerns about unsafe, non-GFI outlets in your home? Or, do you have lights or ceiling fans you need installed? Then it’s time to call Service Professor! As we specialize in both residential and business electrical servicing and repairs throughout West Michigan, we are among the first companies called in an emergency. And we are on thousands of clients’ maintenance and referral lists for quality support no matter the day of the year. Electrical Installations: From new constructions to renovations and remodels, electrical upgrades to appliance and equipment replacements, our electrical installation services are reliable and done well the first time. Energy overloads ca become a serious problem. And improperly installed electrical items can cause damage to your home. We know how to build a strong electrical foundation for your home or office so that you are placed on a firm footing from the outset. Electrical Maintenance: Electrical maintenance prolongs the life of your electrical system and appliances, identifies critical issues before they become major problems, and keeps your home or office operating at its best. Electrical system maintenance can also prevent major problems such as electrical fires at your home or office. Service Professor offers quality affordable maintenance plans for home and business owners that want to keep their property safe and up to code. Electrical Repairs: If you have a faulty equipment or electrical wiring we are the go-to electrical contractors in Michigan. 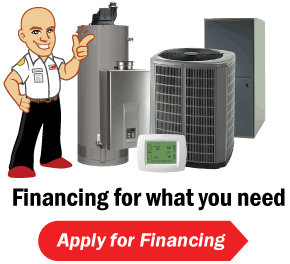 Our up-front pricing on all jobs allows you to make the right decisions for you at the time. 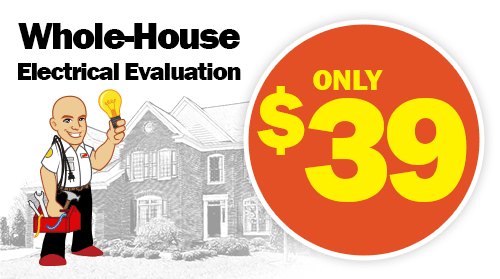 There are no obligations after an estimate and we are proud to offer no pressure service to all clients. We have the right skills to ensure that all repairs meet the necessary standards to keep you safe and give you that peace of mind you seek. 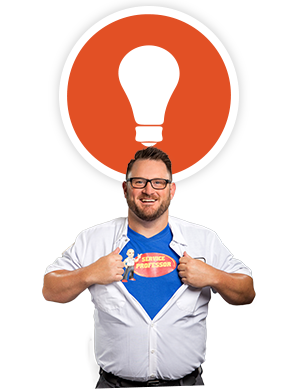 Homeowners and business owners throughout West Michigan and Grand Rapids rely on Service Professor to keep their electrical needs in check. All our jobs are done to meet local, state, and federal electrical codes. Our repairs, installations and maintenance jobs meet ESFI standards and we guarantee our workmanship and parts. We take the necessary time to assess each project thoroughly so that we can offer a comprehensive solution. Get your electrical systems back up and running faster with Service Professor electrical contractors. Our teams go prepared to each job with the electrical tools, equipment, and parts necessary to handle a wide array of electrical problems. While many repairs and upgrades can be planned ahead of time, electrical emergencies happen anytime night or day. Give us a call. We’re Service Professor, and we’re here when you need us.